Design & Quotation of refrigeration, 24hr Call Out, Refrigeration Maintenance Packages, Refrigeration Breakdowns repairs. As a Refrigeration & Air Conditioning Engineering company in Northants we are able to offer industrial and commercial air conditioning and refrigeration repair. Supplying, servicing and maintaining all leading manufacturers equipment to a wide range of commercial and industrial customers. Some of the areas listed are covered for air conditioning repair services Northampton, Wellingborough, Rushden, Kettering, Corby, Towcester, Daventry, Silverstone, Bedford, Sandy, Olney, Buckingham, Milton Keynes and Newport Pagnell. Refrigeration emergency repair service for all types of refrigeration faults including leaking water or refrigerant, not holding temperature, bad odours, noise problems, compressor failure or poor performance. We provide an emergency fix and repair service to a varied client base within the UK. Our fleet of refrigeration service vans allow for all service and repair of refrigeration equipment to be carried on sitecialised repair of critical RAC Ketterings regular refrigeration maintenance service supports a broad range of high street shops, supermarkets, food halls, pubs, retailers, hotels and restaurants throughout the South of England. Please give us a call to see how we could help you with your refrigeration servicing needs. The main coverage of our aircon & refrigeration maintenance and service area is across Northampton, Bedfordshire / Beds, Buckinghamshire / Bucks, Warwickshire, Leicestershire and Northants. Northampton Air Conditioning, Repair Air Conditioning and Refrigeration Northampton- Air Conditioning Milton Keynes - Refrigeration Milton Keynes - Domestic Air Conditioning - Commercial Air Conditioning - Befordshire - Buckinghamshire - Northamptonshire - Northants - Air Conditioning Raunds - Aircon - Climate Control - Air Conditioning Repair - Airconditioning Sales - Air Conditioning Equipment, air conditioning & refrigeration services for our clients in the retail, commercial & domestic markets. From the smallest home to the largest commercial development refrigeration repair can help you through the whole process from your initial enquiry to the final installation and our thorough understanding of your requirements ensures you are provided with the correct equipment for the job at a competitive price. Air conditioning and refrigeration repair also provide solutions for specialist installations including server/computer rooms were a maintained environment can be essential to the integrity of sensitive electronic equipment. installations Milton Keynes, Air Conditioning installations Olney, Air Con Repairs Bedford, Air Con Repairs Milton Keynes, Air Con Repairs Olney.Air Conditioning Installation Kettering, Air Conditioning Installation Northamptonshire, air conditioning installation - air conditioning repair - air conditioning maintenance - refrigeration maintenance - refrigeration repair. At RAC Kettering we have a team of qualified and experienced air conditioning and refrigeration engineers. Our aim is to provide you with a first class service, we pride ourselves in being professional, unobtrusive and reliable. We supply, install, service, maintain and repair all types of air conditioning and refrigeration equipment for commercial and industrial applications in kettering, corby, wellingborough, northampton, market harborough, northamptonshire and the midlands area. Ice machine and refrigeration repair in Northants - Bedford - Cambridge - Leicester - Peterborough. RAC Kettering offer service and can Repair Rofrost Turbo Pipe Freezers by our own qualified refrigeration engineers. Pipe freezer repair and re-gassing service can be undertaken for all manufactures including the repair of Rothenberger Rofrost Turbo II pipe freezer repair REMS Frigo 2 pipe freezer repair Ridgid SF-2200 SuperFreeze SF2500 pipe freezer repair Artic Electric Pipe Freezing Equipment Repair Broughton pipe freezer repair and Freezermaster . Please contact us on 01536 525136 for details. RAC Kettering offer Safan Guillotine repairs & servicing of Safan guillotines / shears and sheet metal machinery repair. 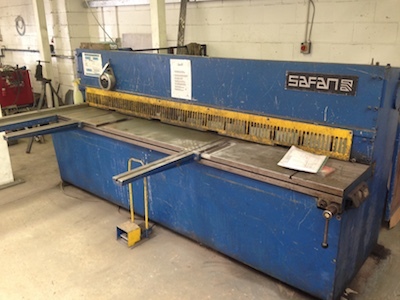 As specialist repairer of Safan press brake thin sheet metal folding machines and repair Safan shears for sheet metal RAC Kettering offers the repair of Safan shear & press-brakes, service and maintenance, from the lightest-duty SAFAN E-Brake to the heaviest-duty SAFAN H-Brake. 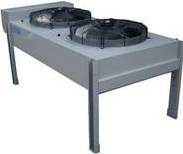 Set up as an independent test house offering calibration and repair services to the press tool manufacturers. Nearly 15 years later we offer calibration and repair services to the whole of UK Press tool users and their contractors across the country specialising in test equipment, instrumentation, plant and hydraulic tooling. We’re authorised repairers for brands such as Bosch, Klauke, Izumi, REMS, Uponor, Greenlee, Rehau, Fluke, Megger, EA Technologies to name but a few. We oversee the plant, hydraulic and instrument repair functions along with our logistics operations. Our hydraulics workshop has three technicians who regularly attend manufacturers training courses including a training programme at REMS Tools in Waiblingen. For hydraulic tooling, we aim to quote for repairs on faulty equipment within 10 days – this can obviously differ according to workload. We always aim to prove a repair before we quote – this could take a little longer if we have to wait for non-stocked spares to get to the bottom of a fault. For routine servicing we aim for a 5 to 10 day turn around – provided the tool doesn’t require overhaul or repair. Most modern hydraulic tools have inbuilt counters which will give us a gauge as to when overhaul is due. If a tool has carried out 8000 impacts in the 12 months previous and needs service at 10,000 impacts we’ll service the tool so that it’ll last another year in the field based on its previous usage. We can offer the hire of press tooling if a customer will be lost without their tool while theirs is at our service centre. We can generally arrange the collection and return of tools, up to 30kg mainland UK for a small charge. Arrangements to the Scottish Highlands, Channel Islands and Ireland are likely to cost more. The repair of SAFAN E-Brake with servo-electronic press-brake and servicing Safan shear repair 01536 525136 is the number to call. RAC Kettering are specialist pipe tool distributors for Rothenberger UK, REMS Tools UK, Ridgid Tools UK, Klauke Tools UK and Greenlee Tools UK.